National Archives #80-G-413915. Via Wikimedia Commons. Ammunition type Contact fused HE/incendiary fixed shell. AP shells were also available. 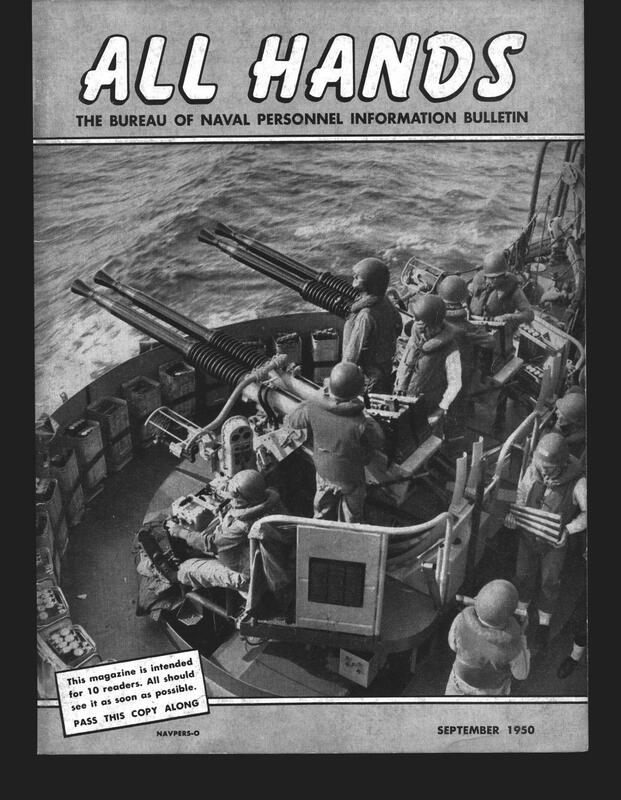 The Bofors was the best medium antiaircraft gun of the war. A Swedish design dating from 1929, it was manufactured and used by all the Allied powers, beginning with the Poles in the mid-1930s, who also manufactured a number for the British. The design likely had its origins with the German Krupp Works, but when German arms manufacturing was suppressed following the First World War, Otto Krupp transferred key technology and personnel to Sweden and eventually gained full control of Bofors. However, a 1930 Swedish law forbidding foreign ownership of arms manufacturers forced Krupp to sell his interest in the company, which thereafter exported arms throughout Europe and the world. 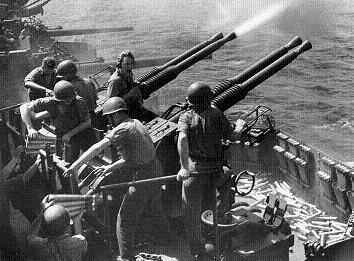 The U.S. Navy considered the Bofors in 1937, but went instead with the 1.1" gun, an unfortunate choice. The Navy soon realized its mistake, and in the fall of 1939, Admiral Furlong took a renewed interest in the Bofors based on conversations with American civilians who had seen demonstrations of the weapon. The York Safe and Lock Company wished to manufacture the Bofors in the United States, and began negotiations for manufacturing rights through the U.S. naval attaché in Stockholm in April 1940. 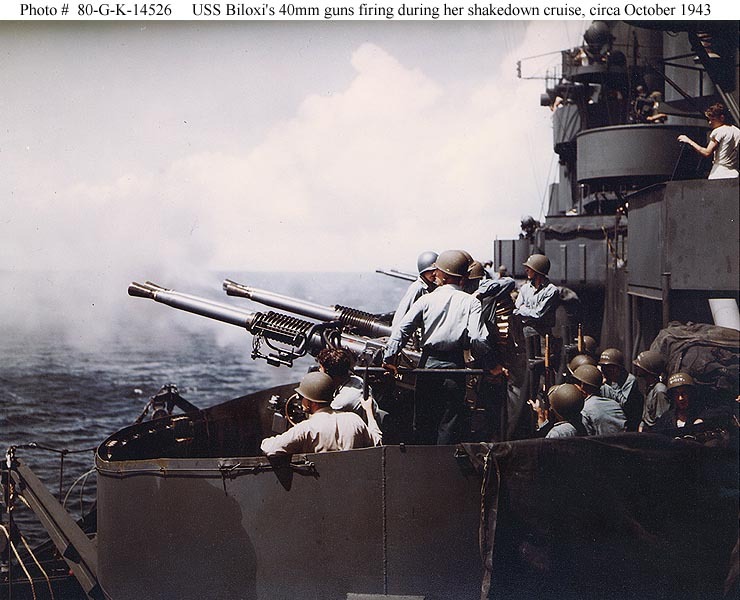 Arrangements were made for U.S. Army and Navy observers to witness a demonstration of the gun by a Dutch warship, and in August 1940 a twin Bofors gun purchased jointly by the Army and Navy arrived in New York for further trials. 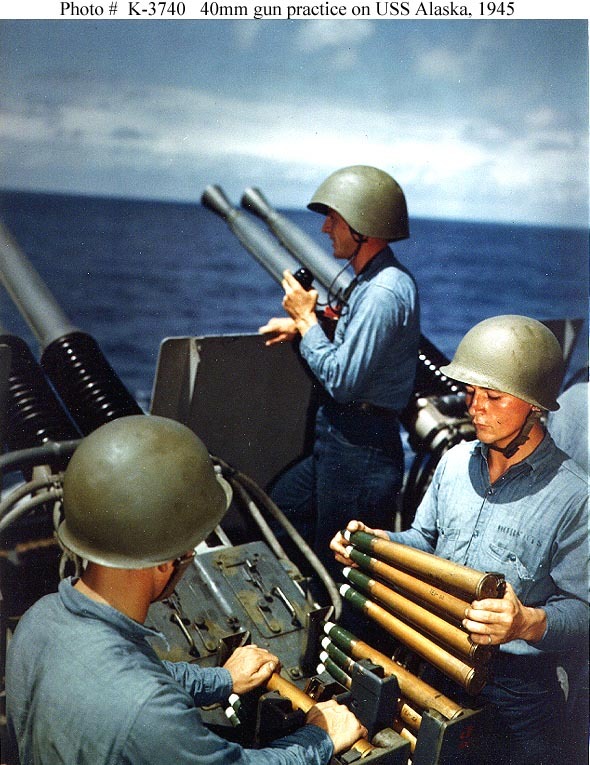 The Navy soon narrowed its choices to either the Bofors or the British 40mm "pom-pom" to replace its 1.1" gun. The British naturally wished the U.S. Navy to adopt their gun, but the Bofors had a significantly higher muzzle velocity, the British gun could not be converted to use American powder in place of British cordite, and the British Army had already adopted the Bofors with success. There remained the matter of obtaining manufacturing rights. The Swedish government demanded manufacturing rights to American aviation technology in exchange for manufacturing rights for the Bofors. The Swedes relented only in June 1941, when they discovered that almost none of the key Bofors technologies were actually protected by patents in the United States and it became clear the Americans were prepared to begin manufacture with or without a license. (The British had begun manufacturing even earlier, in January 1941 in Canada.) Eventually the U.S. government did authorize the transfer of aviation technology to Sweden "in the spirit of mutual good will." The remaining legal sticking point was a restriction in the agreement to manufacture the gun only for "United States use." This seemed to preclude export as Lend-Lease, but the Navy's Judge Advocate General prepared a brief arguing that since the Lend-Lease Act authorized transfer of defense materials to any country where this would promote the security of the United States, such transfers could be regarded as for United States use. This legal legerdemain removed the remaining obstacle to mass production and export of the weapon. The Bofors produced by the Allies were significantly different from the guns produced in Sweden. The Swedish guns were single and twin guns on manually-operated mounts with standard sights, while the guns manufactured for the U.S. Navy were twin or quadruple guns on powered mounts with advanced directors. The single guns produced for the U.S. Army were likewise mounted on a carriage of U.S. design. Only the basic gun mechanism was produced under license, and even this was modified to aid mass production. To speed development, the quadruple mount was designed essentially as a pair of twin guns on a single mount, giving the quad mount its distinctive appearance. The electric drives were hasty adaptations of the drives used for the unsuccessful 1.1" gun. Both twin and quad mounts used the Mark 51 director, which proved highly effective, and the guns were water-cooled using an electric pump. Manual control was initially via separate hand wheels for the pointer and trainer, but these were eventually replaced by a single joystick at the pointer's station. 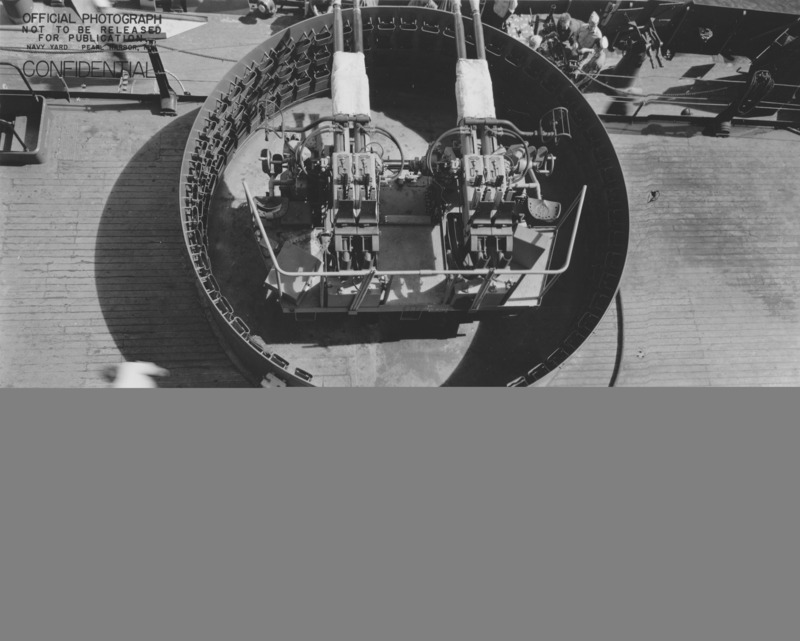 The first twin mounts were completed in January 1942 and the first quad mounts in April 1942. By the end of the war, the typical cost per weapon was $67,520 for a quad mount, $43,640 for a twin mount, and $9500 for the Army single mount. The shells were manufactured according to a British design after it was discovered that the Swedish shells had much too sensitive a contact fuse, "which functioned on impact with rain drops". Although the shells could nominally reach out to 11,000 yards (10,000 meters), almost all the shells manufactured had self-destroying tracers that detonated the rounds at a range of 4000-5000 yards (3700-4600 meters.) This helped prevent friendly fire incidents or other collateral damage. Surprisingly, it also proved an important deterrent to attack early in the war, since inexperienced pilots mistook the bursts for larger caliber timed shells. In addition to the TNT bursting charge, the shell contained a pellet of powdered magnesium and aluminum as an incendiary. Production of ammunition peaked at 12 million rounds per month in the winter of 1944. 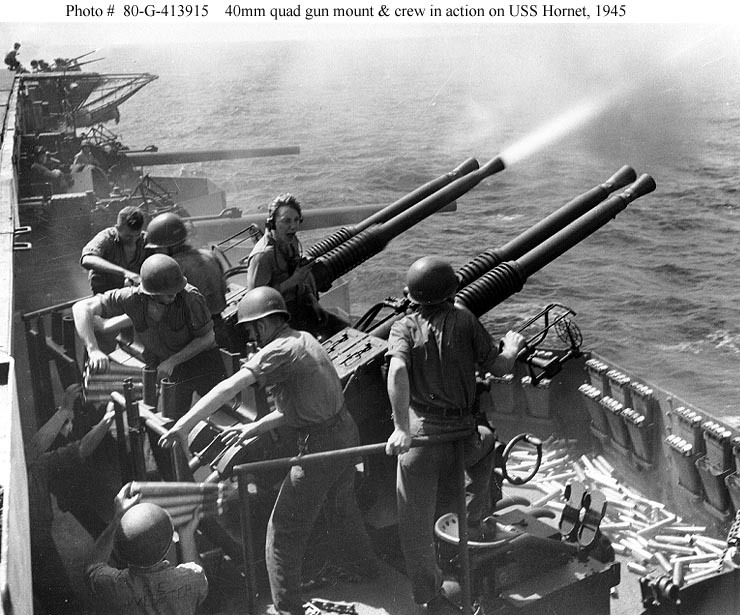 The gun was highly praised for its performance at the Battle of Santa Cruz, but production did not begin to match demand until mid-1944. Existing capital ships and cruisers had priority on quad mounts, while twin mounts tended to go first to new construction. Relatively few (85 quads, 363 twins, and 531 single guns) were allocated for Lend-Lease. 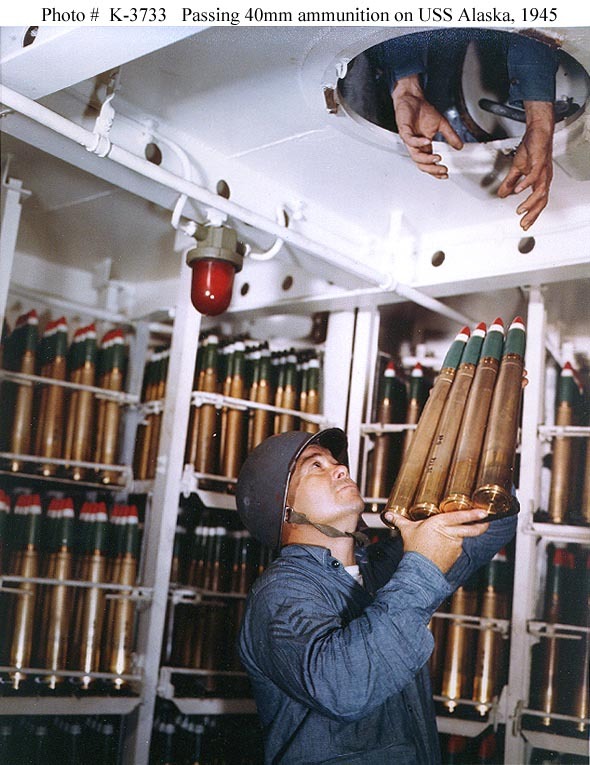 After production caught up with demand, large numbers were mounted on warships to counter the kamikazes, at which the guns were only modestly effective: The state of the art in electronics was insufficient to put a proximity fuse in so small a shell, and its explosive charge was insufficient to disintegrate an aircraft with just one or two contact hits. But the Bofors was the best weapon for close-in defense available at the time, and roughly half of all antiaircraft kills were credited to the Bofors during the period from October 1944 to the end of the war. The Gridleys were the only major warships in the U.S. Navy that had not shipped a Bofors mount by the end of the war. Shipping additional Bofors was no small matter. Unlike the 20mm Oerlikon, which could be installed wherever there was deck space to bolt one down, the Bofors required extensive wiring and plumbing and had to be installed during refit in a shipyard. However, the Oerlikon lacked the stopping power to be effective against the kamikazes. The sustained rate of fire was reduced by the need to reload the small clips (4 rounds) by hand. The single mount typically had a crew of four (pointer, trainer, and two loaders); the dual mount typically had a crew of seven (adding a gun captain and two more loaders); and the quadruple mount had a crew of eleven (adding four more loaders).